Born and raised in the city of Akron not too far from Cleveland is LeBron James. A player who’s talent from day one was like no other. LeBron entered St. Mary High School and won several titles for his school. He declared to enter the 2003 draft and was selected number one overall by his home state the Cleveland Cavaliers. After a 7 year run with the Cavs and failed attempts to reach a championship, the so called “King” leaves his city who loved him so much for the Miami Heat to play alongside Chris Bosh and Dwyane Wade. Who knew, his decision to leave Cleveland will end up in this kind of mess. At the age of 25, LeBron James has given up on his home, his fans, and importantly himself. His legacy is tarnished. He will always be compared to the greats such as Michael Jordan, Kobe Bryant, Magic Johnson, and Larry Bird. Though, he will never come any closer than just comparing numbers. As a person, as a star player, as a team hero, LeBron will never be mentioned in those categories. He left the Cavaliers hoping to pursue a championship with his talented pals Chris Bosh and Dwyane Wade, but was it out of being desperate? He is only 25 years old and still has plenty of great years ahead of him. One thing he never realized when he made the unnecessary “Decision” on ESPN is that he’ll NEVER have his OWN team again. Michael Wilbon from ESPN said it best, “Am I old? Or old school?”. Mike meant that, is he old for not accepting this 3 studded stars on the same team? Or old school as in a superstar should have their OWN team like Michael Jordan, Kobe Bryant, Magic Johnson, and Larry Bird? I’m going with the old school, and I bet most of you basketball fans who actually ENJOY to watch competitive basketball follow me on the “old school” side. Having three stars who can simply have their own team and prove that they can bring their team to win a title has much more meaning than having stars all on one team. I have said this in my recent blogs and I’ll say it again. In 2007, the Celtics did trades and additions to create the Big Boston 3, Ray Allen, Kevin Garnett, and Paul Pierce. They were all past their prime years, but still had the veteran talent to play ball. The same season, they won the 2008 championship. Not a surprise. In my opinion, they won that title out of pity. At the time of their championship year, Pierce was 30, Allen was 32, and Garnett was 32. Danny Ainge also went to reach out to veterans who were willing to help contribute to that championship team. Good job by them. 2 years later, they are aged up and not the same as before. What I’m trying to compare is, LeBron is now 25, Bosh 26, and Wade 28, are in their prime and want to play together because they want to win rings? Basketball has been a team effort, but has it come down to this desperation to have three stars come to a team at this age to try and win? If they win the title in the upcoming years, who will “stand out” as basically the MVP of the team? It’s Wade’s team, but will LeBron overshadow him? Let’s say they don’t win a title in the upcoming years, who’s fault is that? LeBron got crap in Cleveland for not winning a title, but he flat out gave up on the city of Cleveland. Dragging the city through the dirt and making them wait for his “decision” to then slap everyone there in the face. Dirty move. Dirty…. Respect LeBron has gone to a new low. This media attention whore circus clown has gotten himself to the bottom of the totem pole. Anything less than a title next season is a disappointment for the Miami Heat. LeBron is not and will never be a hero…. his 7 years in Cleveland has made him live long enough to betray fans who loved him dearly and become the hated villain. Not a huge spark on the start of free agency day, but it was still fun to see players switch around some teams. Let’s take a look on some key players that signed with certain teams. Rudy Gay was the first free agent to make a big splash in the market. As a restricted agent, the Memphis Grizzlies made sure Gay went nowhere. Memphis secured him with a 5 year deal worth $82 million dollars. With a huge contract like that, Rudy should be able to deliver the Memphis fans a great few years. I think Rudy Gay doesn’t get enough attention out in the NBA world. One big reason is probably the fact that he’s playing in Memphis. The last I checked, Memphis fans barely even filled a stadium of people. Milwaukee’s John Salmons also made a deal with his current team. The Bucks re-signed him for 5 years worth up to $39 million. Salmons is a wonderful player, but I wonder how will the combo of Salmons, Maggette, and Redd is going to work out. Chances are, Maggette will sit on the bench and be that sixth man. It’s great that Salmons can finally settle down in a team that likes him. Great pick-up for the Bucks. The Bucks are making the most moves so far in the market. Gooden has proved in the past few years he can be a factor off the bench. Great athleticism for a PF. Warrick can block shots and bring the spark off the bench if he has the playing time. Arguable decision by Raptor’s GM Bryan Colangelo. Amir is young, but is his talent worth the contract given to him? A slap in the face to Al Jefferson. David Kahn, you’re just bringing this team down into the dumps year by year…. No disrespect to Darko, but cmon’ now. He had a decent half season and immediately worth $20 million through 4 years? Basically, the Suns are trying to build insurance for Amare if he leaves. Chances of Amare leaving are extremely high. Frye can play, but can he deliver a strong performance in the playoffs. That is the question. One of the biggest upgrades in the free agent market was from the Lakers. The Lakers picked up a point guard who can run the ball well with the traditional triangle offense. At $16 million for 4 years, the Lakers got Blake for a discount. For he could have gotten an easy $6 million from the Knicks each year. There have been reports about Amare Stoudemire close to reaching a 5 year deal worth up to $100 million dollars with the Knicks. Amare is strongly considering the deal, but will still snoop around on other teams such as Miami and Chicago. The Suns offered the same deal but $5 million dollars less. My prediction before was for Amare to head to NY, so far, it’s looking like it. Dwyane Wade just met with the Chicago Bulls and is “leaning towards commitment” with the Bulls. That says a lot. Dwade is probably feelin’ the hometown love and putting Miami aside for now. The Heat are still scheduled to meet with Wade on Saturday and that meeting might change is mind in a snap. Paul Pierce and Dirk Nowitzki met with their current teams and are finding a deal to have them return. Sources say Pierce will sign a deal up to $62 million for four years. Smart for Paul to take advantage before the Collective Bargaining Agreement comes into play. As for LeBron James, he met with the Miami Heat and Los Angeles Clippers. ESPN news says Pat Riley came out of the meeting with a grin on his face and the Los Angeles owner Donald Sterling did not attend the Clippers meeting since all he wanted to be presented to the King was pure basketball talk. As there’s less than a day left before free agency negotiations go under way, the flame has grown much much bigger. Talks about LeBron, Wade, AND Bosh playing in Miami stirred up over the week and a few teams made big moves to clear up cap space for big stars in the market this summer. Other than those three players I just mentioned, there are also significant role players in the market to be signed too. Such players like Ray Allen, Allen Iverson, and Shaq need to find a team that can chase the title. Here are my predictions of where each superstar player will land this summer. I’ll also include role players and former stars that are old but still have the talent to help a team win a championship. Knicks fans waited years to get to this point and letting LeBron slip off their hands would be heartbreaking once again. Money talks, but so does basketball. Money is a given in the big city of New York. The talent on the roster will be up to veterans who want to step in and sign with the Knicks to pursue a championship. The Knicks have a nice small roster with contracts right now. With great young players like Gallinari who can shoot, Chandler who is versatile, and an improving Toney Douglas, all the Knicks need are a few players who are 1. Past their prime (former stars) 2. Still have gas left in the tank 3. And lastly desperately need a ring on their finger. Those veterans will need to take a pay cut in order to win. The Knicks will have the money to sign two superstars if they wanted. LeBron’s stock will skyrocket if he signed with the Knicks. Actually, if NY were to win the title next season with LeBron, anyone on the roster’s stock would rise. Right now, New York’s doing everything they can to clear cap room for players, and getting rid of Eddy Curry is a priority (not like it wasn’t). He’s been there and done that. Wade has a ring to look at while LeBron and Bosh don’t. The city of Miami have been very supportive behind DWade. Also, the team is moving in a right direction. The Heat has only missed the playoffs once after the their championship year in 2006 due to a series of injuries especially on Wade. Pat Riley and staff have been calm and considerate with Wade. Miami has the money to sign up to three superstar players. Chances of that happening are slim in my opinion. Most of the superstars in the market are in their prime. Taking a big pay cut and not winning a title in the next few seasons would have gone to waste. Especially in Miami, there isn’t much media attention as the other big cities. Wade will have a partner to work with in Miami since it’s still HIS team. Bosh wants to win. Playing for the Toronto Raptors hasn’t gotten him anymore near a championship. Chris will follow a team that has had championship experience, and that is in Miami. Wade has a ring, Bosh can receive a ring and give Wade two. He would be Dwyane’s sidekick at most. It’ll be a smart move to go to Miami through a sign and trade. Miami has enough money to attract many valuable players. If the solution to getting Bosh is shipping out Beasley and Chalmers (recent source), Miami would need to replace those positions with role players who can step into play when needed. When Wade played with Shaq in 2006 and won the title, key players came into Miami such as Gary Payton, Alonzo Mourning, Antoine Walker, and James Posey to help win that title. It can happen again. In need of a SG/SF, Johnson would fit perfectly for the Chicago Bulls. A back-court of Derrick Rose and Joe Johnson would sound like one of the best in the league today. Besides Rose, Johnson can shine in Chicago if he plays well. He didn’t get that chance in Atlanta due to the lack of media attention and all-star caliber players playing around him. If the pulls don’t pull off a LeBron and Bosh deal, Joe Johnson would be their next choice. Yup, LeBron’s sidekick. Why you ask? If Bosh signs with Miami and Wade is there, LeBron is going to need someone else to be there with him to dominate. Amare’s going to be that force. Playing under Mike D’ Antoni again would be enjoyable for the big man. Having LeBron adapting to the running game would be a piece of game, and Amare already knows how it would work. Plus, the money is good in NY. What is there to hate? The Mavs have been successful in the last few years. Their early playoff exit in 2010 was unfortunately against the experienced Spurs. Caron Butler was added on mid-way through the season, so that might have been a factor for them faltering. Next season will be different though. They will bring back Dirk and be on the lookout for a trade that might include Kidd. He’s been there and been successful. The Celtics reached to the NBA Finals. Yes they are aging. But if Pierce was smart, he should take less money with the Celtics so Boston can sign key players to make another championship run while they can with a 34 year old Kevin Garnett and 32 year old Paul Pierce. Ray Allen’s name is up in the air, but it isn’t guaranteed he’ll come back. The Bulls seem to be the front runner for LeBron and Bosh. But if Chicago doesn’t get those two, then which combo would they be able to get? Joe Johnson and Boozer would fill the positions well. With the Bull’s front court being very thin, Boozer can put bulk into the paint for Chicago. For any team to win a championship, the team must have a balance of great talents. Having Rose, Johnson, Deng, Boozer, and Noah as a starting line-up sounds a bit intimidating. Yes, they just got Derrick Favors. Favors isn’t ready to bring the Nets anywhere near the playoffs himself. Having David Lee and Brook Lopez as a front court is going beast mode. I would feel sorry for the opposing team trying to bang for boards, because those two usually clean it up. Avery Johnson would love to have David Lee work with the Nets, especially that Lee is a player willing to listen and do rather than talk back. If Avery ran a running game, look for the Nets to head to the playoffs. Clippers: Plain and simple, Rudy would fit perfect there. They just need a coach to let Baron Davis run the ball like he did in GS the year they went to the playoffs. If BDiddy got the chance to do that and have Rudy Gay on the Clippers, be afraid of the Clippers for the time being. T-Wolves: It wouldn’t make sense if David Kahn signed Gay. They just drafted Wesley Johnson. But rumors are swirling around about Kahn chasing Rudy. Horrible move if they sign Gay because they would have too many SG/SF’s. Allen is smart. He will follow where championship contenders are. Playing with LeBron and Amare in a running system is perfect for Allen since he’s just a spot up shooter. With the ability of LeBron being able to pass the ball, Ray Ray would have great looks if he plays with the King. Allen has a few more years left in him, and it would be sweet if he won one more ring under his belt with LeBron and in Madison Square Garden rather than the TD garden. All these teams would be contenders and in need of veteran talent. Iverson can still play, no matter what anyone says, the guy can ball still. Whether he will be a sixth man or a starter, he will be a factor for any championship contending team to get the title. Old Diesel would only fit in one place. Dallas. Assuming Dirk comes back to Dallas, Shaq would work next to Nowitzki. It’ll make them a stronger contender and definitely in the top 3 best teams in the West. I wouldn’t be surprised if Shaq chose retirement this year. The man is old. Whatever decision he makes, more power to him. Lakers: Artest is letting Tmac know that if he comes to LA, he’ll get his ring he always wanted. Ron got it. If Ron can get it, Tracy can get it. The time is ticking on Tmac’s career. Mike D’ Antoni let McGrady play and he didn’t do bad for being off the court so long. If the relationship is still good and the Knicks pick up big names, I see TMac staying in NY. Sacramento: Salmons had a great time in Sacramento since he started blossoming is talent there after countless years. Going back as a starter and to have a chance to shine with Tyreke Evans can be fun and memorable. Money speaks to Salmons. Miami Heat: If Salmons wanted to, he can play for a contending team where he can start. In Miami he will definitely need to take a pay cut. Chances are, they Lakers can’t bring back Farmar or Brown. A starting passing point guard who can adapt to the triangle well would benefit the Lakers in getting another three peat going. All three teams need a SF. Whether Josh will start or not, he’ll come for a cheap price. At most, a Mid Level Exception contract. Howard still has the slashing talent, just needs a chance from a team. Both teams are in need of a sharp shooter like Miller. Boston will chase Miller if they lose Ray Ray. Lakers will go after Miller if they lose Brown. Mike’s talent is overlooked upon in this league. I think he’d be a great sixth man or starter if a team needed him. In the end, it’s up to Mike’s decision whether he wants to play for the redemption team or defending champs. The 2008 champions and 2009 champions go at it once again, but this time in the Finals. A classic rivalry that is a much watch for any basketball fan. Looking back at the 2008 Finals where both of these teams met was victorious for Boston and painful for Kobe Bryant and his Lakers. Back then, it was pretty much a one-sided Finals match. The Lakers had Andrew Bynum out of the series and Trevor Ariza coming off a broken foot after missing 8 weeks and returning in the Western Conference Finals of Game 2 where he did not look like himself and wasn’t a factor in both series. The Celtics on the other hand had the Big 3 Allen, Pierce, and Garnett for the first year. 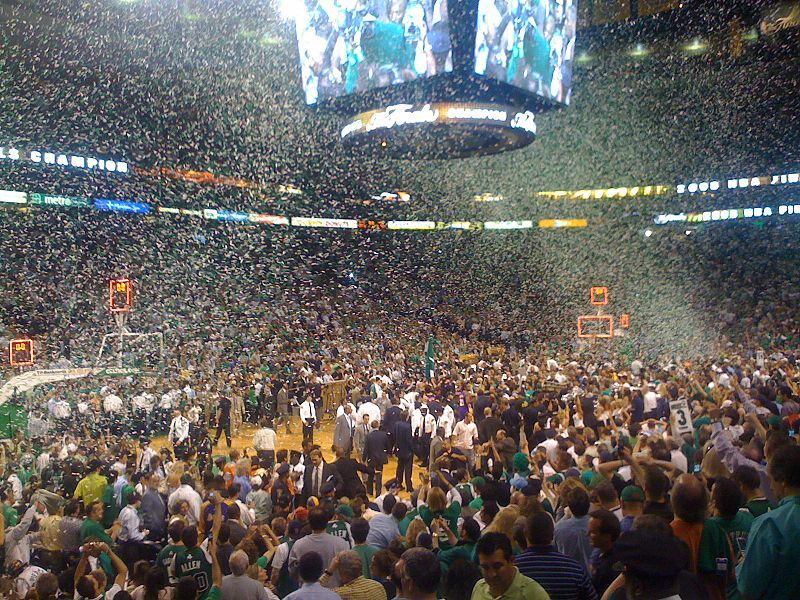 The Celtics took home the trophy on the night of Game 6 with a 39 point victory over the Lakers. Kobe Bryant definitely has not forgotten that image in his head. This series will create a lot of attention on a certain number of players. Lets start with Andrew Bynum. We know he’s not playing at his fullest form. His knee swells up after every practice and game the Lakers have. Not playing in the 2008 Finals to help out his team, the question is “Will he step up this time?”. Even with the injury Bynum and his coach Jackson believe he can still play under the pain of his knee. Fans wonder will Bynum bring his A game or just be a useless factor in this series. Another person on the spotlight is Kevin Garnett. He was a total dominant force in the 2008 Finals averaging 20 points and 10 rebounds per game in the playoffs and had a double-double in every game of the Finals that year. This playoff season, he is averaging a low 14 points and 8 rebounds per game. The one time of the most dominant PF’s in the NBA is now an aged player without a bounce. Can Garnett step up and shape up to his new form or will he let his Celtic buddies fall in the Finals? only played a total of 4:47 in the playoffs. If the Lakers want to win the title this year against the Celtics, their bench must help take some weight off of Kobe and Gasol’s shoulders. Lastly, Kendrick Perkins has been solid for the Celtics on the defensive end. It’s just a matter of time before he gets his next technical and being suspended for the next game. Knowing Phil Jackson, he likes to get into the heads of the opponents. Whether it’s criticizing Kevin Durant’s FT line frenzy and taking a jab at Nash on his opinion of being the best coach in the league, either way, Phil Jackson came out of the series bringing the Lakers out on top. Kendrick can lose his cool easily and Phil Jackson could take advantage of that. You have to play smart in this series, and outsmarting Perkins in this series will take a toll on Boston. This time the Finals are different. Both teams have a handful of former and current All-Stars Boston (5) Lakers (3). Both teams are the top two teams in the league with rings. Of course they both want to add another ring to their collection. Having all these star players and great teams battling it out in the Finals is simply classic and entertainment for any basketball fan. 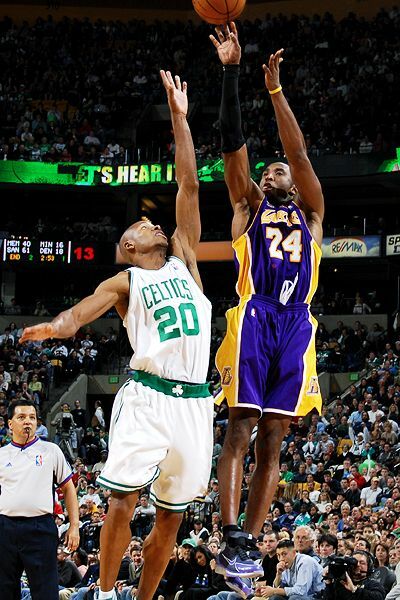 The Lakers are out for revenge and the Celtics want to remind the Lakers why they beat them in 2008. 2 weeks ago, the Orlando Magic was the favorites to win the championships. They swept defensive juggernauts in the Charlotte Bobcats and the young high flying Atlanta Hawks. Dwight Howard was putting up great numbers, Jameer Nelson is showing the world why he’s the team captain, and Vince Carter was proving to the world that he still got it. They were dominant and unstoppable. Supposedly the only team that could have stopped them in the East was the Lebron James team, also known as the the Cleveland Cavaliers. A team that purposely built their team to defeat the Magic with the acquisition of Shaq to go against Dwight Howard and Antawn Jamison as a stretch 4 to counter Rashad Lewis. But no one ever counted on the Boston Celtics to beat the Lebron James team and is now in a midst of sweeping the Eastern Conference favorites. A team that went with the flow throughout the regular season, losing games to the likes of the Clippers, the Nets, and the Warriors. A team that was old, tired, and unfit for championship. And a team that had many injuries throughout the regular season and struggled to stay healthy. Everyone agreed that the Boston Celtics were a great team, but no one ever thought they would be in the finals. 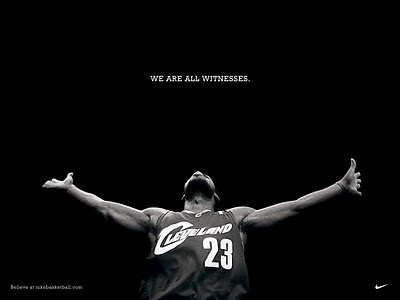 All predictions led to Lebron James and his rag tagged supporting cast beating the Celtics. But now, the Green Monsters are 3-0 against the Magic. That is due because of the hard defense the Celtics is applying along with the stellar play of Rondo and revitalization or the Big 3. They got the Magic bent over right now and is close to finishing the job. How could the former eastern conference champions fall this bad? I want to say lack of determination and the death of all morale at this point. Cockiness could have also been a factor. Dwight Howard was supposed to be that dominant center that no other team in the league has an answer for. But now, the Magic dug themselves a deep hole that they are desperately trying to claw out of. 2. Make history as the only team to ever win a playoff series after starting 0-3. I don’t see number 2 happening though with Boston playing as great as they are. So my first round predictions were somewhat off… I didn’t expect that many upsets in the Western Conference. Now let’s take a jab at the second round. The Lakers took game one, but I don’t seem convinced with their confidence level yet. They struggled with the Thunder which I’m totally not surprised with. KD and his crew gave the defending champs a great run. The Jazz upset the untamed and uncoachable (unless you’re George Karl) Denver Nuggets. The biggest problems with these two teams are injuries. Bynum has a tear in his knee and Sasha is out for the Lakers. Jazz have a banged up DWill, hurt Kirilenko, and Okur who is out. Kobe stepped it up in game one and I think it’s obvious nobody can guard him from the Jazz. Other than that, each team is pretty evenly matched. Except coach Sloan I don’t think beat Phil Jackson’s team in a series yet. I remember a few years back, these two teams were building a great rivalry between them. Players included were Bruce Bowen, Steve Nash, Raja Bell, and Robert Horry. Now, Steve Nash is the only player still playing in the same team which was involved in the altercations. The Spurs I believe pulled a lucky one against the Mavs. They have the talent and experience to match with Dallas, but Dallas seemed like they had more names to get them by. The Suns on the other hand shouldn’t have an excuse for losing the first game against Portland when they didn’t have Roy. Luckily, they won the series in game 6. This series will be fun to watch, I’m looking for drama in this one. Let’s see if the Richard Jefferson experiment REALLY sets in this series. After game 7, the Hawks are going to be exhausted facing the well rested sweeping Magic. As far as talent goes for Atlanta, I don’t see them putting more effort to this series, but taking a step back and preparing for next season. Magic I think is the scariest team right now in the East. As always, I’m extremely excited for the playoffs to start. I know for a fact this year will not disappoint. You got the young Thunder team in the playoffs for the first time led by superstar Kevin Durant, a possibility Kobe might face LeBron and his old teammate Shaq in the finals, a 50 win 8th seed team in the West, and many more. The Bulls (or maybe just Joakim Noah) say they will shock the world. What does that mean? If they mean beating the Cavs out in the playoffs, I laugh. The Cavs are hungry for a title. They are well balanced with young and veteran players who know the game too well. The Bulls aren’t the same as last season, and they had to squeeze their way into the playoffs. The Celtics have rested Kevin Garnett before the playoffs. Wait, was he injured? The Celtics never made it too clear. This match-up is the one I’m looking most forward to seeing a dramatic finish to this series. As for the aged stars in the Celtics who won the title in 2008, the Heat have won their last 9 out of 10 games. Dwyane Wade and his Heat players are ready to take on the unpredictable Celtics. I don’t believe the Celtics will turn on the switch since it seems as if they aren’t prepared for the playoffs this season. Heads up, Doc Rivers just told the media he’s unsure about his future with the Celtics. Is that suppose to build confidence for the Celtics through the playoffs? The Hawks are ready and the Bucks are not. Bogut is out which is a big blow to the Bucks. Salmon and Jennings will face a difficult time playing well since they are the main focus for the Hawks. Scott Skiles has done a tremendous job with this team by teaching Jennings, using Kurt Thomas at his fullest in his age, and developing players like Ilyasova into a better role player. The Hawks in the end will be too much for the Bucks. Atlanta will just outrun the Bucks this time, to simply put it. I want to see a good fight between these two teams, but that’s not going to happen. If Dwight doesn’t get into foul trouble, the game will be over. The key factor to this series is the Magic bench. They just have way too much depth compared to the Bobcats. After what happened last year in the finals for Orlando, I don’t think Howard or Lewis will let anything less than a reappearance again in the finals. The slumping Lakers say they will finally have Bynum play in the playoffs. The defending champs will flip the switch now that the playoffs are here. The key to that is Kobe Bryant. He will not let this team fail. Just won’t. Kevin Durant is a happy man making into the playoffs, but not so happy about Phil Jackson’s comments about his “game”. The Thunder are a good team and will put up a fight, but I just don’t see the hungry Lakers putting away anything they have in store. Best wishes to George Karl, I hope he comes back for the team as soon as possible. The Nuggets haven’t been on their A game lately, but now that the playoffs are around, hopefully they will click. One huge issue about the Nuggets is that they jack up shots they don’t need to. The Jazz on the other hand are dealing with a injury bug hitting star Carlos Boozer and Kirilenko. If Deron Williams needs to take the load for the injuries, the Jazz will not get it done. If Boozer plays, there’s more chances of winning than doubt in my mind. The Suns are hot, and they are about to get hotter. Alvin Gentry is doing a wonderful job with them. Steve Nash is playing at his best with legs as young as a 20 year old. I can’t say the same for the Blazers. Roy is out. Oden is out. Pryzbilla is out. Portland is heading to the playoffs with such a slim roster which will do no good especially without their star. Judging by both teams, they both looked prepared. Battle of the Texas cities, this series will be a all out dog fight. In the end, I gotta root for the Mavericks who have a solid and consistent bench that slightly wins over the Spurs.